The Christchurch Golf Club has a proud history that dates back to 1873. The club is one of the oldest golf clubs outside the United Kingdom and Ireland. 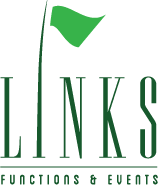 The Shirley Links Course has been the venue for numerous New Zealand Open and Amateur Championships and was the venue for the Eisenhower World Amateur. The course is renowned world-wide as a challenging championship course of the highest quality which offers a fair test of golf for both club and professional golfer.